Finally your professional email address forever! Register now and enjoy for a lifetime! Entrepreneurs, employers and potential customers get hundreds of emails in their inbox every day. Between all those emails your own professional email address has extra value. Whether you have your own company or apply for a new job, an email address with your own domain name has style. At Vevida, email is included in our Secure Hosting. Secure Hosting contains everything required for safe and secure email. Also, apart from email, you can install a web site on your domain name to further increase awareness of your name. 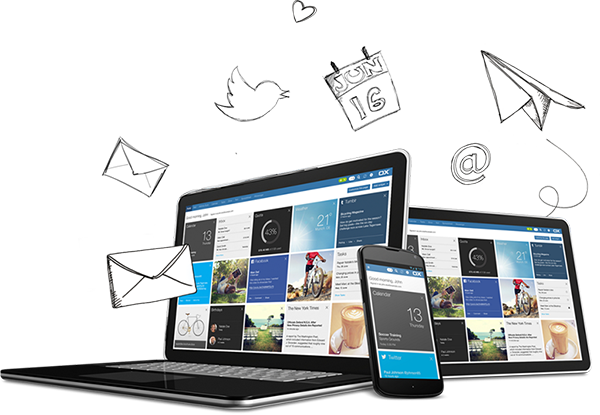 If you ever decide to create a personalised web site, we will host it completely for free. When you decide to host your email with Vevida we include your own domain name, an unlimited number of email accounts and Secure Hosting. Set up email accounts for all your employees, family members or members of your sport club. Get rid of that Hotmail, Gmail or Yahoo email address and choose your personalised email address with business value. An invoice received from mycompany@gmail.com is not professional. Furthermore, a lot of spam email is sent that way. You’d rather not have your invoice end up in your clients spam folder. A business email address offers the solution. The possibilities are endless, especially in combination with new extensions like .sale, .amsterdam of .cool. With our email hosting you will get all email, social media and calendars in one easy to use overview. Wherever you are. If you are connected to the internet, you have access to your digital life. And with an email like info@companyname.nl you show your competence. Upgrade your email with the Mail Xchange component and synchronise all information on your mobile devices. 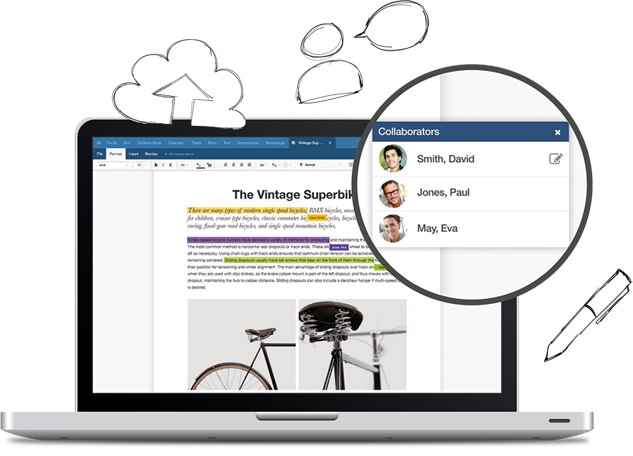 Share and edit emails, files, photos and contacts with coworkers or family. Using our online text editor you can work together in real time on the same document. A professional email is not only important for entrepreneurs and business professionals. Also you and your family can use it to your advantage. We regularly receive job applications from personalised original email addresses. This way they make an extra impression amongst other candidates. Also its fun to use your own family name, because it’s great if all of you can email with your own name! Register the ideal domain name for you email now.